Purple Queen, limited edition Paul Oz Queen Elizabeth pop art. 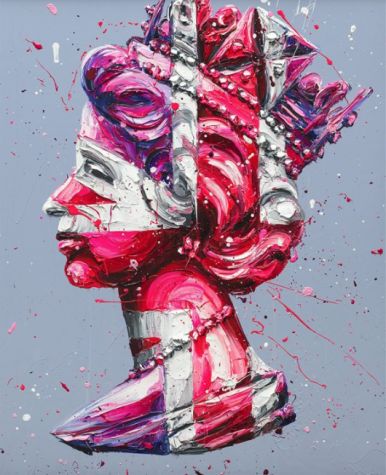 A fun, eye-catching piece from artist Paul Oz, this limited edition giclée print of Purple Queen is an amazing Queen Elizabeth pop art painting. Available as a giclée print on paper or hand embellished canvas, both framed, Purple Queen is a stand-out work from artist Paul Oz.